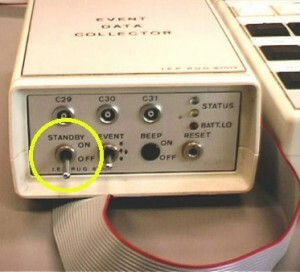 This is a portable Event Data Collector. It is used to register heart rate of people “on-the-job”. 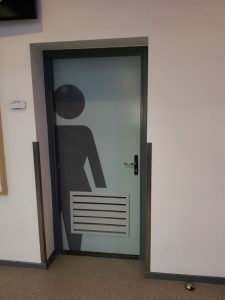 Just as the previous example, it’s technically fine. However, in terms of human factors, it’s not. Users can be easily confused. To save the batteries, you can set the device to “stand-by” mode. Normally one would expect a switch that toggles between “On” and “Stand-by”. Here, however, the switch (in the yellow circle) toggles between Stand-by “On” and “Off”. You really have to think about it; “Off” means the device registers data, so it equals “On”. “Stand-by On” means “Stand-by”. Logical, but in terms of good ergonomics not correct.